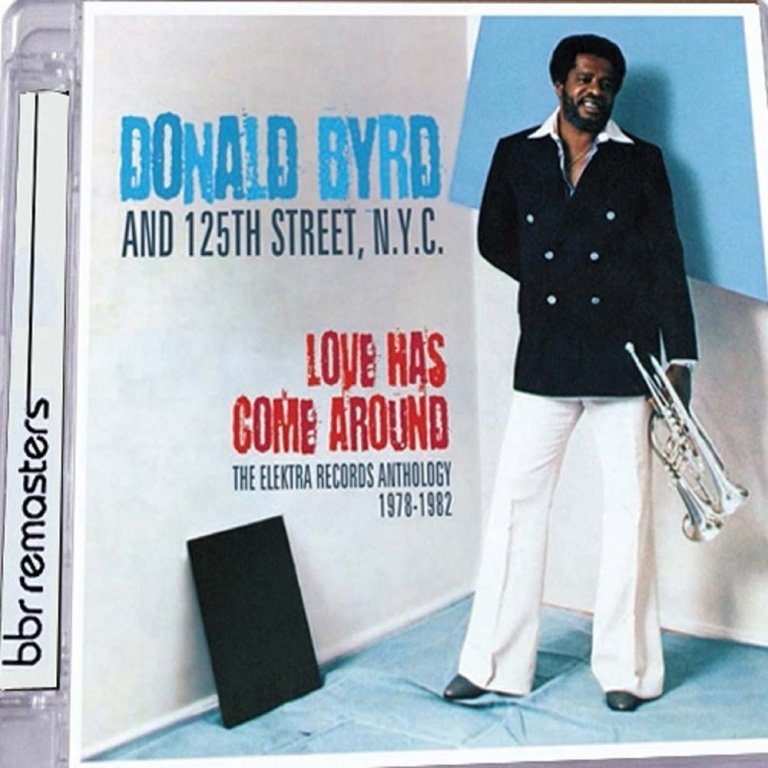 Big Break Records is proud to present Donald Byrd & 125th Street N.Y.C, Love Has Come Around: The Elektra Records Anthology 1978-1982. Featuring comprehensive liner notes and rare photos across a sixteen page booklet housed in a super-jewel CD case, Love Has Come Around is an essential addition to any Jazz Fusion, Funk, and Disco fan’s collection. •	Jazz trumpeter Donald Byrd’s critically acclaimed career and life have assured the Detroit native his rightful place as one of the most respected musicians of the 20th century. Having successfully transitioned to Jazz Fusion in the 1970s under the guidance of the Mizell brothers, creating four albums on Blue Note records including the highly influential Places and Spaces, Byrd continued to explore the fertile possibilities of Fusion with four more albums recorded for Elektra Records between 1978 and 1982. 1978s Thank You… For F.U.M.L (Funking Up My Life), 1979s Donald Byrd & 125th Street N.Y.C. , produced by Byrd, and the two Isaac Hayes produced albums Love Byrd and Words, Sounds, Colors and Shapes from 1981 and 1982 respectively are fully represented over a two-disc anthology package from BBR. •	Tracks produced by Byrd include the up-tempo jazz-funk-disco tracks ‘Thank You For Funking Up My Life,’ ‘Loving You,’ ‘Have You Heard The News,’ ‘Pretty Baby’ and ‘People Suppose To Be Free’ alongside the deeper jazz-fusion cuts of ‘Sunning In Your Loveshine,’ ‘Your Love Is My Ecstasy,’ ‘Gold The Moon, White The Sun’ and ‘Loving You,’ which reached #74 on the Billboard R&B chart early in 1979. •	Big Break Records is proud to present Donald Byrd & 125th Street N.Y.C, Love Has Come Around: The Elektra Records Anthology 1978-1982. Featuring comprehensive liner notes and rare photos across a sixteen page booklet housed in a super-jewel CD case, Love Has Come Around is an essential addition to any Jazz Fusion, Funk, and Disco fan’s collection.